Last Friday, because it was April Fools day, I ran a tongue-in-cheek post called "How To Be Super Productive With Tech." It was loaded with laughably bad advice, and more or less boiled down to "buy the latest gadget and spend days to weeks configuring it, and then buy another new gadget." But it was more than just a prank post: My aim was to illustrate an important point about the way technology affects our productivity. Back in the early '90s, the Palm Pilot kicked off a revolution in personal organization by making handheld gadgets a seamless part of what had theretofore been an almost entirely paper-based productivity landscape. Suddenly, for a few hundred bucks, knowledge workers could get their hands on a lightweight, adaptable PDA with a massive selection of apps to choose from. Smartphones have picked up where PDAs left off, and the pace of innovation has been fast and furious ever since. The problem with all this constant change is that mobile devices--which have become the center of our organizational universe--are constantly fading into obsolescence, forcing us to upgrade our handsets (and, now, our tablets) at a staggeringly brisk pace. And even when stick with one product platform from upgrade to upgrade, it's all too easy let your productivity plummet for a few business days each time you step up to the latest efficiency-enhancing model. And if you make the leap from iOS to Android, or vice versa, the productivity sink just gets worse. So how can you streamline your technology upgrades to keep your productivity on track? Productivity geeks are always talking about their systems, and I'm no exception. In recent week's I've talked about two such systems that I find complementary, David Allen's Getting Things Done (aka GTD) and Francesco Cirillo's Pomodoro Technique. While people who are deep into their chosen systems will tend to advocate for the superiority of their approach above others (often based on serious experimentation and experience), the more important thing here is to have some kind of system, whatever it may be, and know how to apply it effectively. If you have an effective productivity system, it shouldn't really matter what technology you use to apply it. GTD, for instance, works just as well in an entirely paper-based environment of folders and handwritten lists as it does in an entirely smartphone-based workspace. It's no accident that GTD creator David Allen vigilantly resists recommending specific options from among the hundreds of apps designed to support his methodology. A good system should work anywhere, and in any context. So establish for yourself (or borrow from someone else) a sound methodology for managing your commitments, regardless of the medium you're working in, and you'll stand a pretty good chance of keeping yourself on track whenever you need to move your system from one tech platform to another. The fact that you're reading this blog probably indicates that you're at least a little passionate about productivity and tech, but beware: Despite the obvious advantages of technological advancement, newer doesn't always mean better. If the main reason you carry a smartphone or tablet is to boost your productivity, it doesn't necessarily pay to keep upgrading your device every time something hotter comes along. Sure, this is the hottest phone around right now, but try to control your impulses. It can take weeks of daily use and frequent configuration tweaks to get into a state of flow with a new smartphone. Every nuance of the device's setup, from the wallpaper to the desktop arrangement to the apps and their various options, has an impact on how easily and intuitively the machine functions as an extension of your mind. And every time you get a new device, you have to go through at least a significant portion of that configuration process all over again. My point here is not that you should hold onto your aging device for eternity just to avoid the time sink of configuring a new one. Rather, you should be honest with yourself whether it really makes sense to upgrade from your existing gadget right now. If it's been two years and you can name at least five distinct features that the new device will add to your productivity toolbox, then you're probably due for a change. 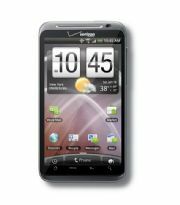 But if you just got, say, the Verizon iPhone 4 and you're already thinking of making the leap to the 4G HTC Thunderbolt, you might want to slow your roll a little. Just as changing devices can send your productivity into a tailspin, switching up your core apps can shoot you right out of the sky. After all, it's the apps--more than the device itself--that actually manage your digital life. Of course, new apps are constantly emerging, and for every thousand worthless new releases you're likely to encounter a few gems. And therein lies the problem: A genuinely innovative app can have a profoundly positive impact on your productivity mindset, but the time and energy spent trying and abandoning all the crappy fadware that rises to the top of the app store's category lists can undermine those potential benefits before you even discover one new app worth absorbing into your system. Before you disrupt your flow by dropping another boulder into the river of your mind, do a little surveying. Time spent reading up on the app's features, the nuances and quirks of its syncing and customization settings, and reviews from trusted sources and other users, is generally a better investment than time spent loading it up with your live data and experimenting with your own workflow. As a general rule, it's better to learn from the mistakes of others. At some point, of course, you're going to want to upgrade your existing device. When you do, it'll pay to have all of your essential data already synced to cloud services that support your favorite apps. By selecting apps with a strong online component (preferably including full usability from a browser), you can ease the move from device to device dramatically. In most cases, getting your data onto the new device requires little more than downloading the app (such as Evernote or Remember the Milk) and logging in. You may still need to do some configuring on the device to make the app work the way you want, but at least you won't be entering all your to-do lists over again.